In what can only be called a revolution in the Agriculture sector, drones, which are mostly used by the police department to capture aerial images, are now being used to make the process of spraying pesticides easy for farmers — all thanks to these students along with their professor. 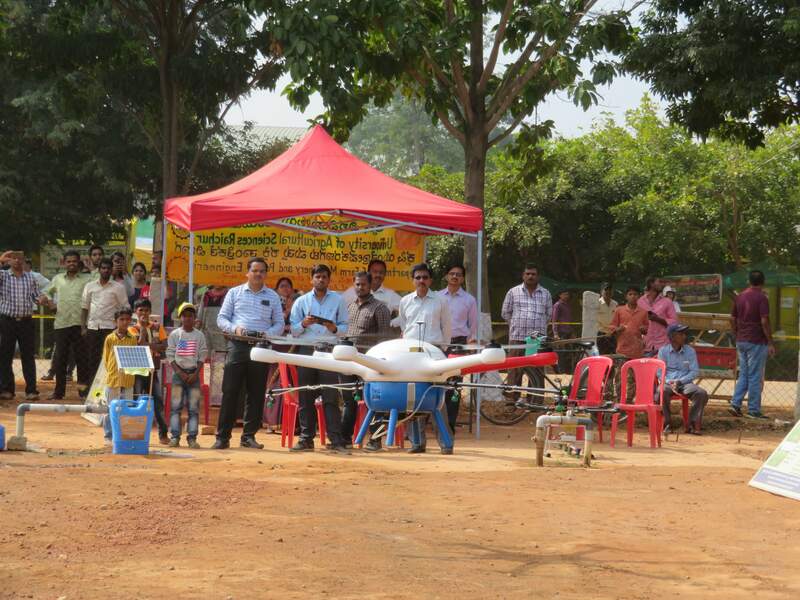 Under the guidance of Dr M Veerangouda, Dean - College of Agricultural Engineering, Raichur, Dr Nagesh Kumar, Vijaya Kumar Palled and Dr Sunil Shirwal from University of Agricultural Sciences, and Yallappa D Raravi from the College of Agricultural Engineering are working together to create a drone that can spray a farmer's crop with pesticides. This idea was conceptualised in 2017 and the team has been working on it ever since to give farmers the best innovative product. "The very purpose of building this drone is to address the health issues that farmers face when they spray chemicals on crops. An added benefit is that it involves less labour as the drone can spray pesticides on 2.5 acres of land in just 45 minutes. It can also be used when there are waterlogged paddy fields. As per the recommendations, the chemical spraying has to be 3 to 6 feet above the crops to prevent wastage," says Dr Nagesh, a Senior Research Fellow. Explaining the capacity of pesticide this sprayer can contain, he says, "Initially, we started with only one litre of liquid pest control, but we slowly increased it to five litres. After numerous trials, we have finally increased the capacity to 20 litres. Our current challenge is mixing just the right quantity of water with pesticide. Once we complete the research, we will launch the final model in the market within a period of six months." 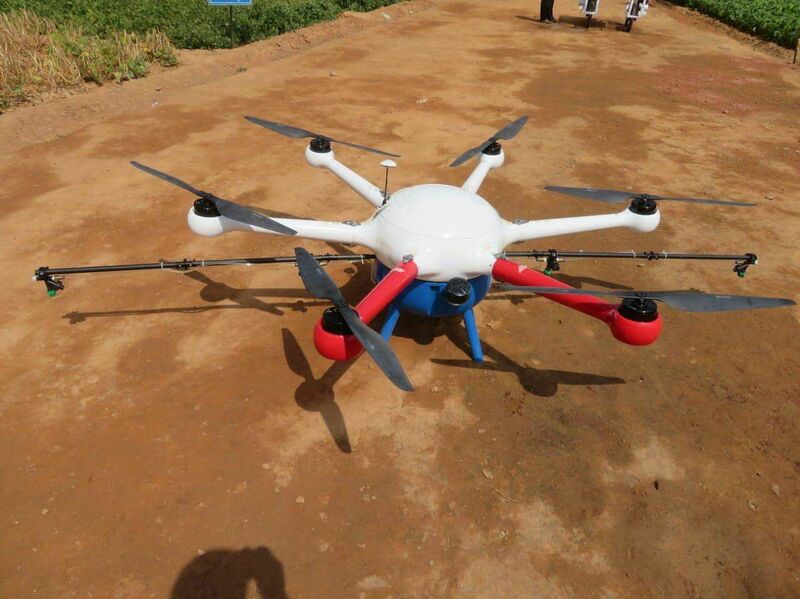 The design of the drone-mounted sprayer is such that it can be controlled with a remote. And in case the user is busy, they can set the spraying area via GPRS. For this, the user will have to download the Agriculture Management app and operate it on their phone. Once the area is marked on the app, the machine will do the rest. "The machine will fly to the selected area, spray the pesticide and return to its starting point. In case the liquid gets over or if there is a technical glitch, the machine automatically returns to the starting point," explains Dr M Veerangouda. New Updating on 10 Liters capacity Drone Sprayer, It will be ready to delivery. 9. Terrain following with MMW radar?